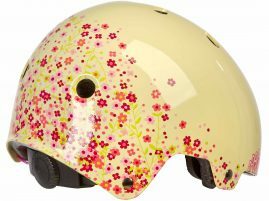 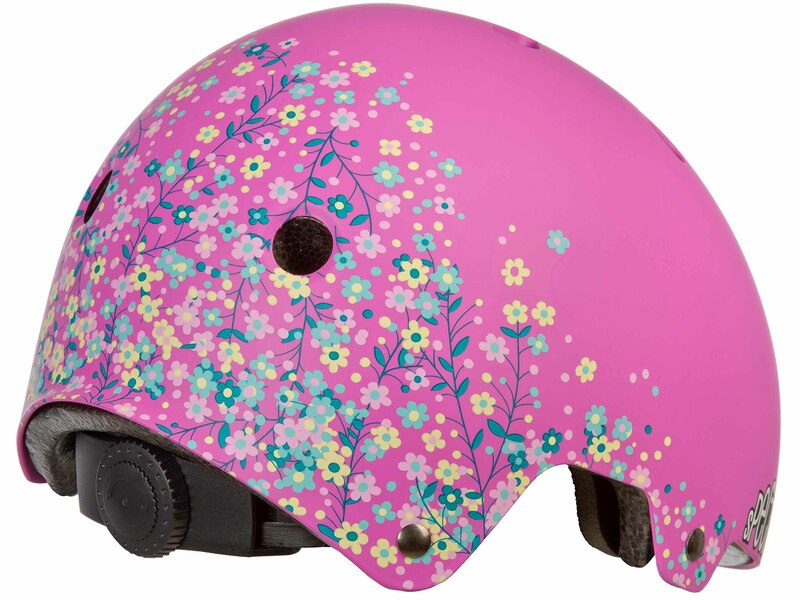 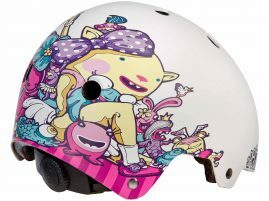 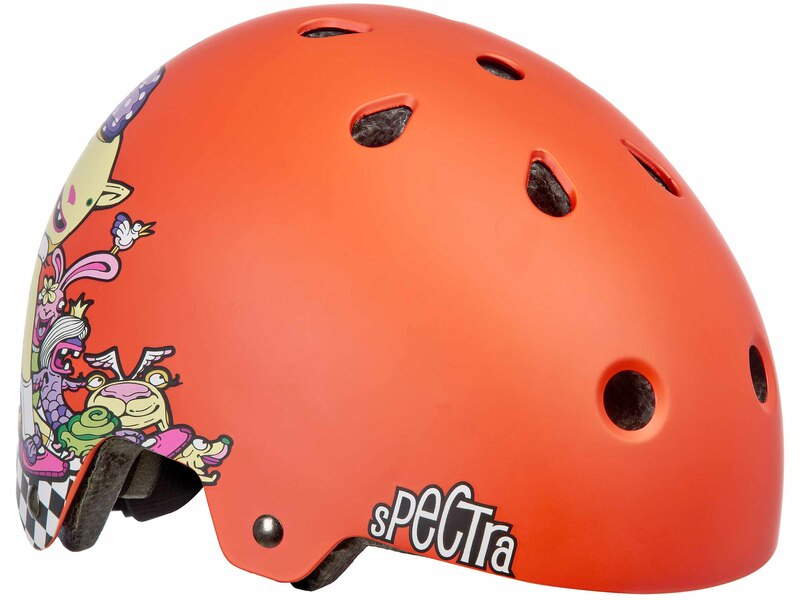 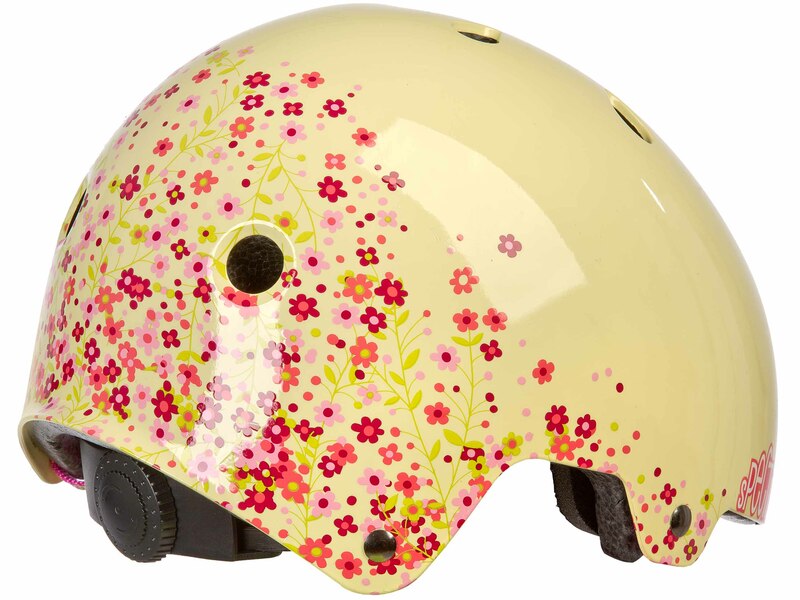 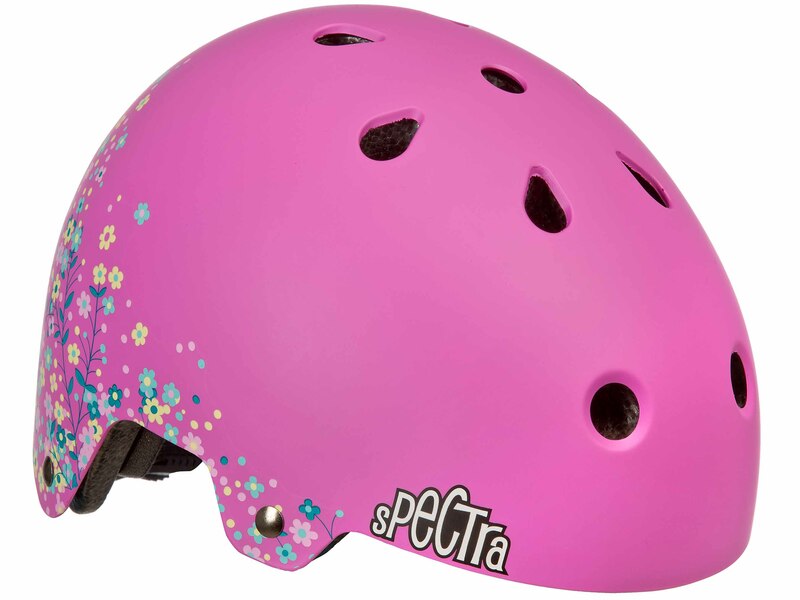 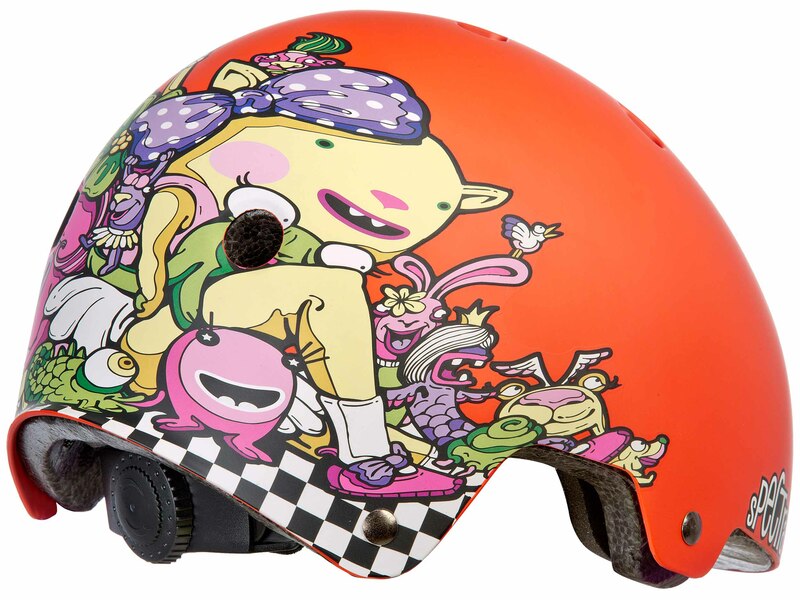 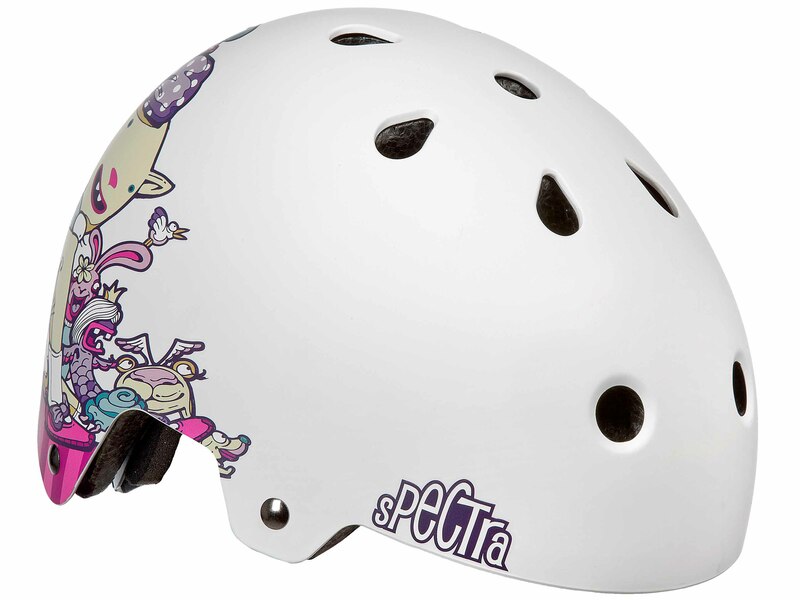 A round shape skate helmet in various colors and designs. The helmet has 11 holes for ventilation. 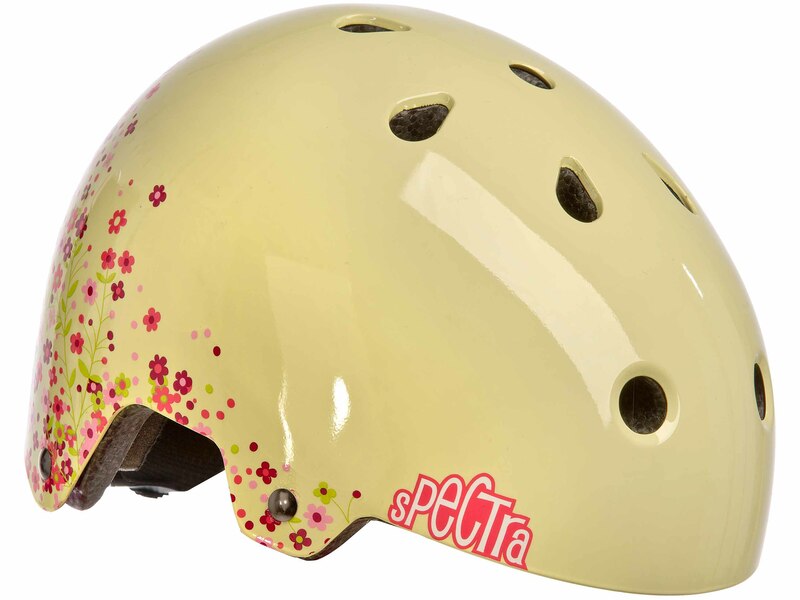 Twist neck system for size adjustment and a green buckle for easier opening.